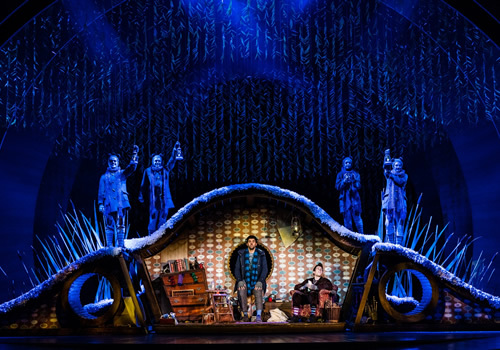 29 June 2017 - "wonderfully endearing and vocally beautiful"
Rufus Hound stars in a new musical adaptation of Kenneth Grahame’s beloved novel The Wind in the Willows. Following the thrill-seeking menace Mr Toad, The Wind in the Willows is the well-known story that has delighted audiences for generations. After a hugely successful pre-West End engagement, the musical plays at the London Palladium from June 2017. The Wind in the Willows follows Ratty, Badger and Mole as they join the wild and impulsive Mr Toad on a range of naughty misadventures! A riotous comedy, Toad Hall is under threat from the notorious Chief Weasel and his gang of Wild Wooders. Imprisoned for his insatiable need for speed, Mr Toad must find a crafty way to escape in order to defend the magnificent Toad Hall. 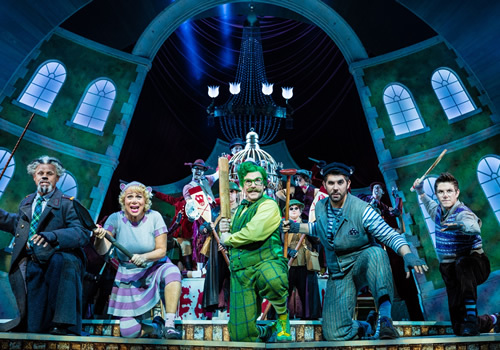 Actor and comedian Rufus Hound stars as Toad, alongside Gary Wilmot as Badger, Craig Mather as Mole, Simon Lipkin as Rat, Neil McDermott as Chief Weasel and Denise Welch as Mrs Otter. Hound was recently seen on stage in the RSC’s Don Quixote and received rave reviews for his performance in Dirty Rotten Scoundrels at the Savoy Theatre. Further credits include One Man Two Guvnors, Drunk History and regular appearances on 8 Out of 10 Cats. Further casting includes Chris Aukett, Joel Baylis, Jenna Boyd, Abigail Brodie, Abigail Climer, Jorell Coiffic-Kamall, Nicole Deon, Emilie du Leslay, Joshua Gannon, James Gant, Evan James, Michael Larcombe, Bethany Linsdell, Ryan Pidgen, Adam Vaughan, Georgie Westall and Natalie Woods. 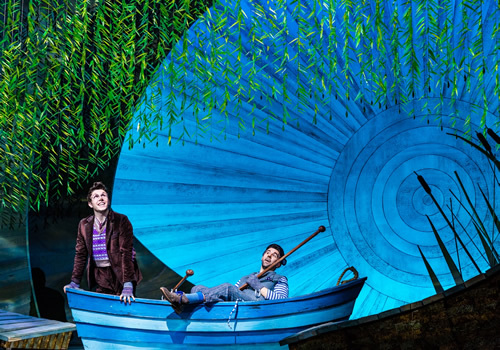 A brand new British musical, The Wind in the Willows features a book by Oscar-winning writer Julian Fellowes, who is best-known for creating Downton Abbey and writing the book for Broadway musical School of Rock. The musical also features music and lyrics by Olivier Award-winning duo George Stiles and Anthony Drewe, which sees the trio reunite after huge success with Half a Sixpence. Directed by Rachel Kavanaugh, the production features design by Peter McKintosh, choreography by Aletta Collins, lighting design by Howard Harrison and sound design by Gareth Owen. On a fast-track to become the next classic musical, The Wind in the Willows plays at the London Palladium from June 17th to September 9th 2017, with an official opening on June 29th 2017. 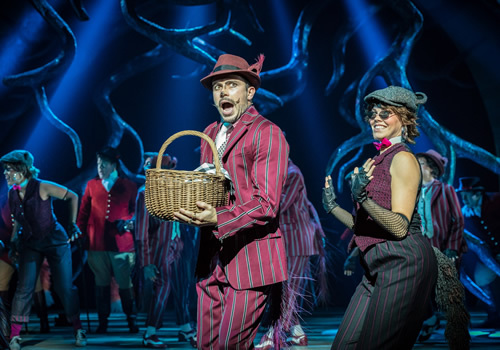 The Wind in the Willows is entirely suitable for adults and children alike. Those who are familiar with the children’s book will be delighted!